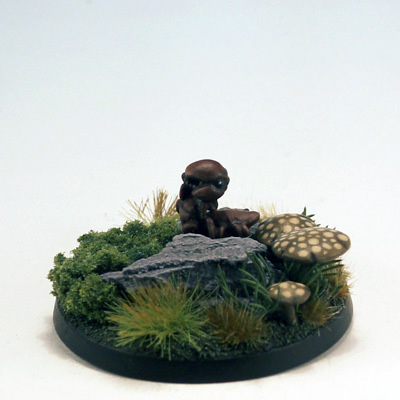 I used a Reaper Mini as the basis for this terrain element. 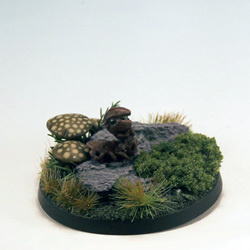 Reaper has tons of great familiars which are perfect for base decorations or even terrain elements. The Centipede was sculped by Werner Klocke.